With the release of Mac OS X 10.8 Mountain Lion and the introduction of iCloud, comes a new way for iPhone and iPad users to sync all of their content wirelessly between their Mac and their iOS based devices. This makes is easier to keep track of all your photos, documents, music and even doing regular tasks like adding appointments into your calendar as they will all instantly appear on all of the Apple devices you're using. To begin with you'll need to make sure you have all your devices updated, as well as all your software. You'll need iOS5 or later and iTunes 10.5 or later for some of the services to work. Then you'll need to make sure you have iCloud setup on your iOS devices, this is pretty easy to do. Here are the detailed instructions from Apple. Once you have iCloud turned on be sure you're using the same Apple ID on all the devices you want synced. This means the same AppleID on your iPhone, iPad and Mac. By default, your iPhone or iPad will usually use the same AppleID you use for the App Store, which may or may not be different from your iCloud account so double check that. The last step is customizing your settings. Tap the Settings icon and select iCloud. Tap the On/Off switches to enable each individual iCloud service you want to use. 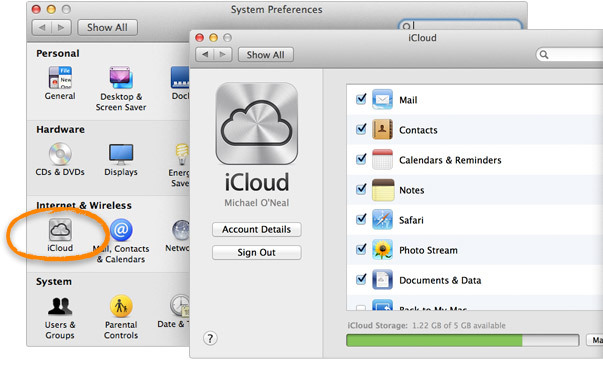 To enable iCloud Backup, tap Storage & Backup and turn on iCloud Backup, Photo Stream, Find My iPhone ect. You won't need to use all the services, just start with the ones you do and make sure to disable the ones you don't. 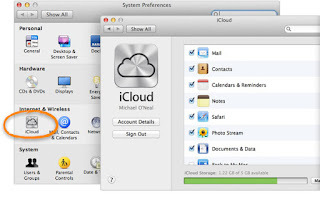 To get the most out of iCloud on your Mac, install OS X Mountain Lion but you need at least the latest version of OS X v10.7.4 or later to get things up and running. If you don’t have the latest version of OS X, you can purchase it from the Mac App Store. 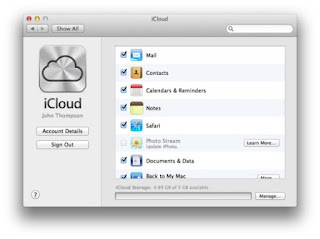 To enable iCloud in Mountain Lion, go to System Preferences, click iCloud, enter the AppleID you are using for your iOS devices, and select the services you’d like to enable. You'll need to make sure you have the same services enabled on your Mac that you do on your iOS devices. So if you want to sync your photos from your iPhone turn on Photo Stream on both the iPhone and the Mac. If you want to sync all of your contacts turn on contacts. Books, you'd turn on iBooks ect. You don't have to enable them all you just need to make sure you check the ones that you'll be using on all your devices and uncheck the ones you don't. Once you have all of your devices running setup and iCloud you need to make sure everything syncs with all of your devices. Start by double checking to make sure you have all the same options enabled and your AppleIDs are all the same. To do this, go to Settings - iCloud on your iPhone or iPad and check that your account is the same as the one on your Mac and that the same services have been enabled on each device. 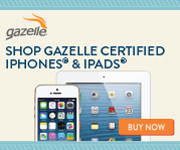 Assuming they are all the same, then you should almost immediately notice your synced items appearing on each device. If not then try a test run, snap a few new photos or create a new calender entry (something for any of the services you are using) and see if they appear on the other devices.